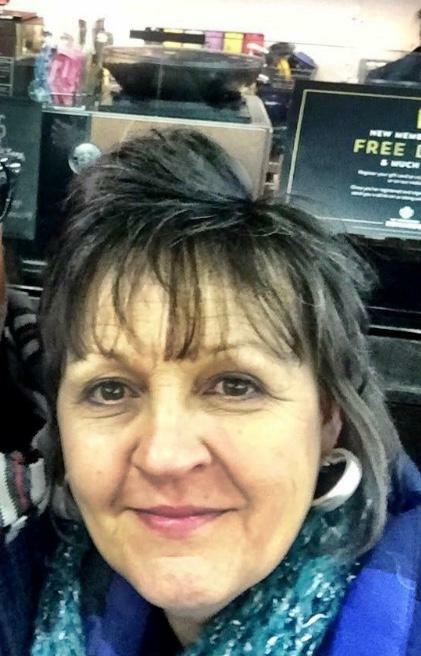 Lana Lutz Bynum, 61, went to be with the Lord on Thursday, March 28, 2019 at home with her family by her side. She was born July 6, 1957 in Cleveland County to the late Albert Gene and Rhonda Kay Hope Lutz. She worked for Pharr Yarns for 25 years before retiring from New Avon, LLC after 20 years. She was a member of the Wesleyan Church. Lana loved her Lord with her whole heart and her family unconditionally. She enjoyed spending time at the beach. Left to cherish her memory are her husband of 23 years Steve Bynum; son Van Whitted and wife Dawn of Gastonia; grandchildren Kaylynn Whitted, Luke Whitted, Eli Whitted, Samuel Whitted; sister Clytie Smith and husband Tony of Gastonia; sister-in-law Tina and David Shannon Bolynn; nieces Heather and Haven Rudisill; nephews Danny Robinson and wife Kelly, and Dustin Robinson and wife Jeanie; numerous great nieces. A Celebration of Lana’s life will be held at 3:00 pm Sunday, March 31, 2019 at South Gastonia Church of God with Dr. Bobby Gilley and Pastor Joe Edwards officiating. Entombment will follow at Gaston Memorial Park, Gastonia. Her family will receive friends from 1:00 to 2:30 pm Sunday, March 31, 2019 prior to the service at the church.